With the loss of unlimited mobile data, consumers need to be more mindful of their behaviors. With that said, the one decent byproduct of data caps is that sharing the data can be both easy and affordable. Often, for a minimal monthly fee, you can add a tablet, or hotspot device to access your data pool. 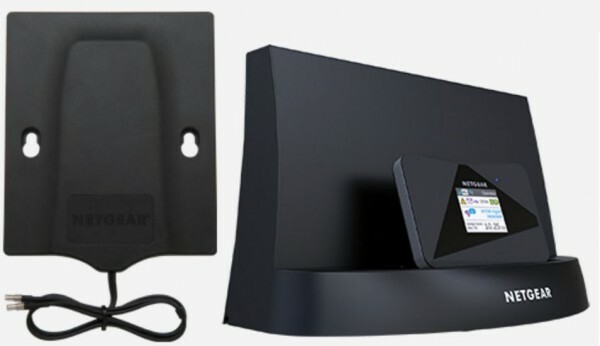 "The smart, powerful features of the Verizon Jetpack AC791L leverage carrier aggregation technology along with simultaneous dual-band 802.11ac WiFi for top speed (5GHz band) and greater range (2.4GHz band), while minimizing interference from nearby devices. The future-ready Jetpack AC791L is capable of supporting faster speeds as the network upgrades and expands, and offers 3G fallback in regions where 4G is not yet available", says Verizon. The company further explains, "for busy professionals, the Jetpack AC791L is ideal for online conferencing, sending email, and keeping clients up to date while on the go. With the Jetpack AC791L, you reduce downtime and stay productive while commuting or visiting client offices. A single mobile hotspot provides a secure, virtual private network in a temporary office or for teams in transit to share a data plan and avoid expensive, ad hoc airport and hotel WiFi expenses. With no software to install, the Jetpack AC791L is easy to set up and use and minimizes compatibility issues with corporate applications"
Believe it or not, the Jetpack AC791L can operate for up to 24 hours non-stop -- your hotspot-enabled smartphone can't do that. On standby, however, it can keep a charge for up to 650 hours, which is about an entire month. Holy cow. Oh, and the 4,340 mAh battery is user-replaceable too! What I like about a device like this too, you see, is that you can change DNS and VPN settings on it. This means anything that connects to it will also use those settings. In other words, you do not need to change settings on all the machines that connect to it individually. 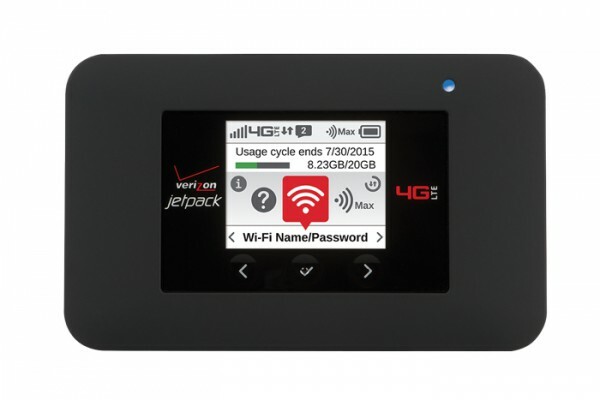 Yes, the Jetpack AC791L features 4G LTE Advanced, making it the fastest hotspot on Verizon. If you go the 2-year contract route, it is quite affordable at $49 after rebate. Off contract, however, is a hefty $199. What makes this stand out beyond speed, however, is the awesome accessories seen above. The MIMO Antenna on the left can be mounted in say, a motor home or outside location, to increase the reach of the Wi-Fi while on battery. You can use third-party antennas too, as the Jetpack AC791L features dual TS-9 connectors. Awesome. The unit on the right is the AirCard Signal Boosting Cradle with Ethernet, so you can plug it in and use it without battery -- including hardwired with Cat 6. Depending on your needs, this could potentially replace your home ISP. Both accessories really enhance the usefulness of the Jetpack AC791L. The cradle costs $69.99 and is available now, while the MIMO Antenna pricing and availability is not yet known. But wait, there's more! It also doubles as a USB battery pack. In other words, if your smartphone battery needs a charge, you can connect it to the Jetpack AC791L. This is done using a micro USB to full-size USB cable, which is included in the box. You can even set a timer for how long to charge. Check out the video above. If you want to buy it, there is no waiting needed. You can buy the Jetpack AC791L now here.